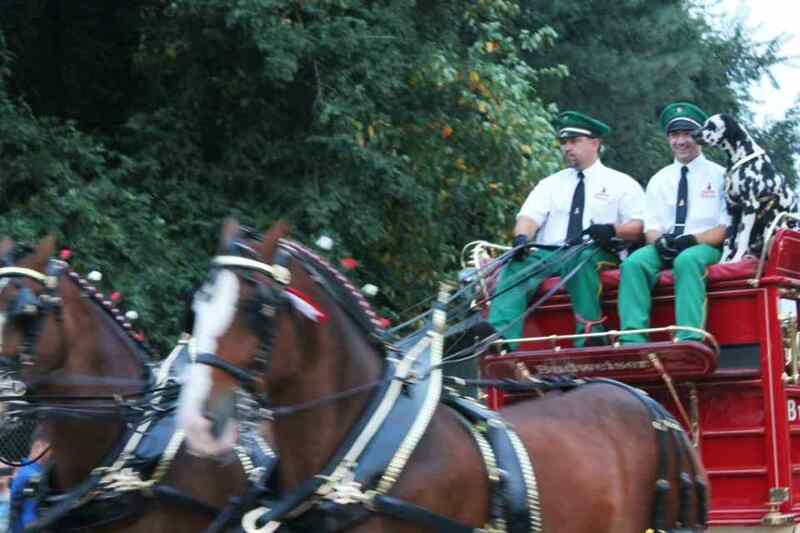 The Budweiser Clydesdales are visiting Raleigh for the first time in over 20 years! These “gentle giants” are the symbols of the huge brewing company Anheuser Busch. They have been used in promotions and advertising for the company since the end of Prohibition in 1933. Last night, I had a chance to visit them. The first Clydesdale-drawn wagon ever associated with the Anheuser-Busch/Budweiser name was a gift to August A. Busch Sr., a co-founder of the company, from his sons, August Jr. and Adolphus III. The gift was given in celebration of the repealing of Prohibition, which had obviously impacted their business harshly. 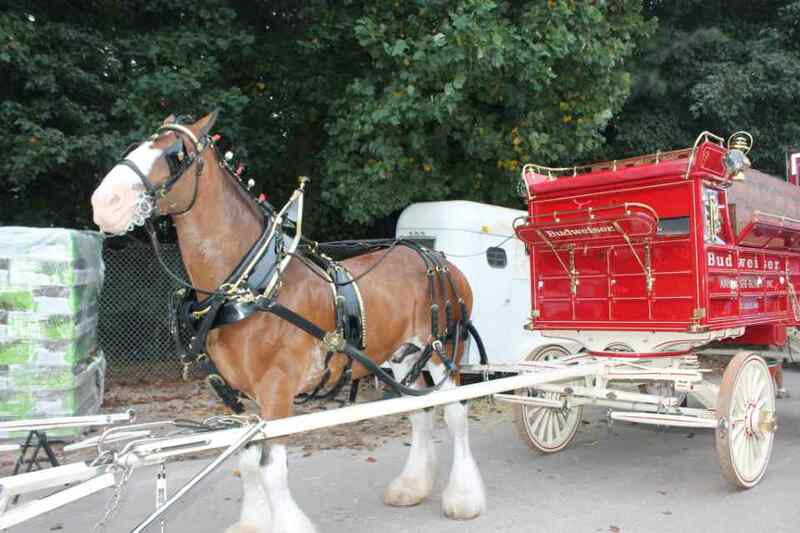 The Clydesdale-drawn, red, gold, and white wagon became the company symbol when it transported the first brewed beer down a Chicago street during the celebration. Later, a six-horse team pulled the first wagon through Upper Eastern states and a second wagon visited the Midwest states. Excitement buzzed in the streets of every town they visited, drawing thousands of onlookers. Budweiser had created a new marketing campaign. To qualify as a famous Budweiser Clydesdale, the horse has to be a gelding of at least four years age, have four white legs, a white blaze on their nose, bay (a certain shade of brown) coloring, a black tail and mane and measure 72 inches at the shoulder. Their weight must range between 1800 and 2300 pounds. 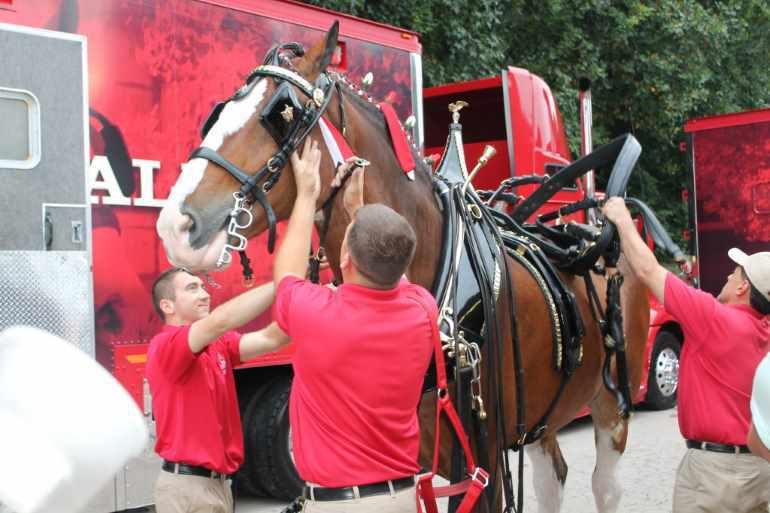 There are now 250 Clydesdales owned by the company. 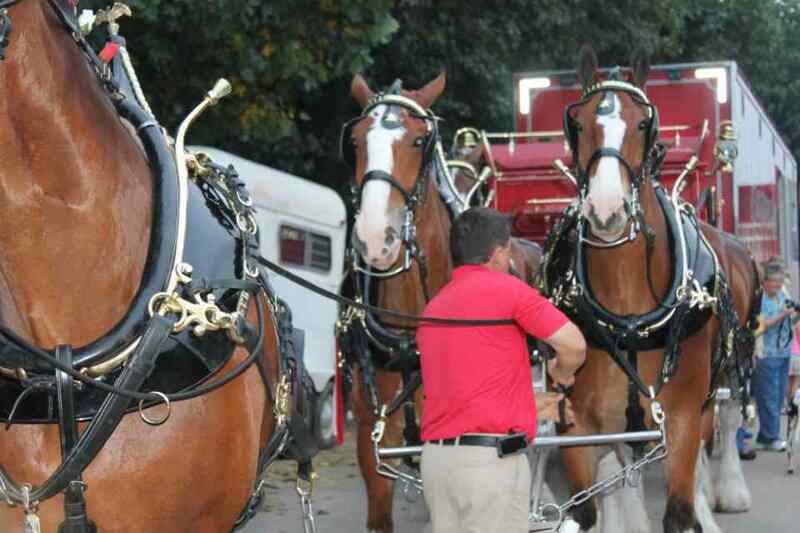 Meeting a Budweiser Clydesdale face-to-face is exhilarating, a horse-lover’s dream come true. Their size is thrilling. Their horse shoes are 20 inches from front to back and weigh five pounds a piece–two times larger than a regular horse’s shoe and five times heavier!! Clydesdales were first used by farmers of Scotland to haul heavy loads. They can pull hauls of more than a ton at five mph. A gentle giant needs lots of food and water. One Clydesdale can consume 20-25 quarts of whole grains, filled with minerals and vitamins, 50-60 pounds of hay and 30 gallons of water a day. The harness and collar together weigh 130 pounds. Although the harness is a standard size, the collars are designed to fit each horse individually. The gear is crafted from patent leather and embellished with solid brass and stitched with pure linen thread. Wagon drivers are rigorously trained in how to drive such a massive vehicle with its draft horses pulling it. The lead reins weigh 40 pounds! This weight plus the weight of the traction maintained on the lines equals 75 pounds of pull for the driver to manage. But that is not all! He also has to use two brakes: one hand brake for rear wheels for braking and an hydraulic brake pedal for slowing the whole wagon for curves and hills. Ten months out of the year the gigantic geldings are on the road, but in quite a different way from their forefather’s first travels in simple carriages down country roads. Now, three huge tractor trailers transport the horses and their gear. Each cab has cameras for viewing the horses and their condition at all times. The horses travel in comfort on “air cushioned suspension” and well padded rubber floors–quite a far cry from pulling a wagon hundreds of miles, like their ancestors. Every night after a day of traveling they are let out to rest. 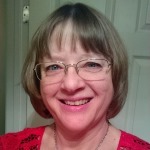 There also are several sites where they take their R&R, like Grant’s Farm in St. Louis and Warm Springs Ranch, near Boonville, MO with 300 acres for breeding clydesdales. They relax in luxury. When asked, “Who is the boss horse?” one of the handlers quipped, “Clyde the dalmatian!” Each stall has the horses’ names on the door. While the Clydesdales visited Raleigh, I met Princeton, Rocky, Sparky, King, Rascal, Jack, Tim, Charley, Fire, and Pride. Each horse’s mane is braided with ribbon and adorned with roses. Their fetlock feathers (the long hairs on their lower legs) are brushed before they are led out to the truck. One truck carries the horse’s “tack” or gear, which has been stored neatly in its own box. One truck’s side door with a ramp is opened and one set of tack is brought out at a time. There the collar and harness are lifted over the horse’s ears and the bridles are placed over their heads and the bits fitted into their mouths. Reins go from the bridle to the girth through rings. The girth is the rear part of the harness around the horse’s chest. Another leather strap goes across the haunches to support the trace, the metal bar that divides the hitched horses from one another. RELATED: 10 Strangest Items At The Raleigh Flea Market. As each readied Clydesdale is walked to the big red, gold and white wagon commemorating the first wagon, another horse walks up to the truck for his gear and so on till all eight horses are hitched to the wagon. I saw five men and one woman doing all of the preparations, taking at least 45 minutes on each horse. Each of these staff members can do several of the necessary jobs, such as grooming, driving the truck, preparing the gear and of course cleaning out the stalls as needed. The Clydesdales will make an appearance at the Hunt Complex at the NC State Fair Grounds during the Lions Club State Championship Saddlebred Show. The last show will begin at 6 PM Saturday, September 13. 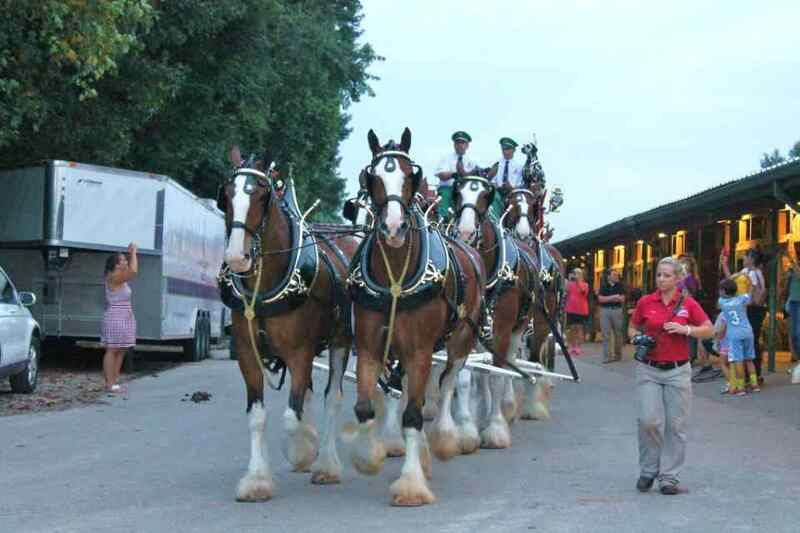 The Clydesdales will enter the arena between 7:30 and 8PM. I had an amazing experience meeting with these beautiful horses, learning their history, and hearing their travel stories.